June | 2013 | Mike Lamberti, From Margate To Cleveland, And Back ! I had the pleasure of meeting Vaughn L. McKoy while researching a feature I was writing about Mr. McKoy’s high school football coach, Chris Olsen. McKoy had played for Olsen while a student at Paterson Eastside High in 1984 and 1985 and credits the eventual legendary Wayne Hills coach for ‘saving his life’ by providing a level of discipline and accountability with the football program. Vaughn and I spoke a lot about Olsen, who would coach at Eastside for just a few years before finding incredible success for 26 seasons at Wayne Hills. It was during our initial conversation that he mentioned the advent of his book and how Olsen not only helped him, but assisted other Paterson football players, some of whom Olsen never coached, to attend college. McKoy took advantage of his opportunities at Eastside, where he was graduated in 1986, to become not only a good athlete, but a standout student who earned a scholarship to Rutgers. There, he excelled on the gridiron and earned an undergraduate degree. When he wanted to attend law school, he received guidance from Rutgers graduate and business mogul Arthur Goldberg. It was through Mr. Goldberg’s mentorship and guidance that McKoy’s adult life would take shape. McKoy’s writing hand was certainly busy on June 8 as he signed copies of ‘Playing Up’. 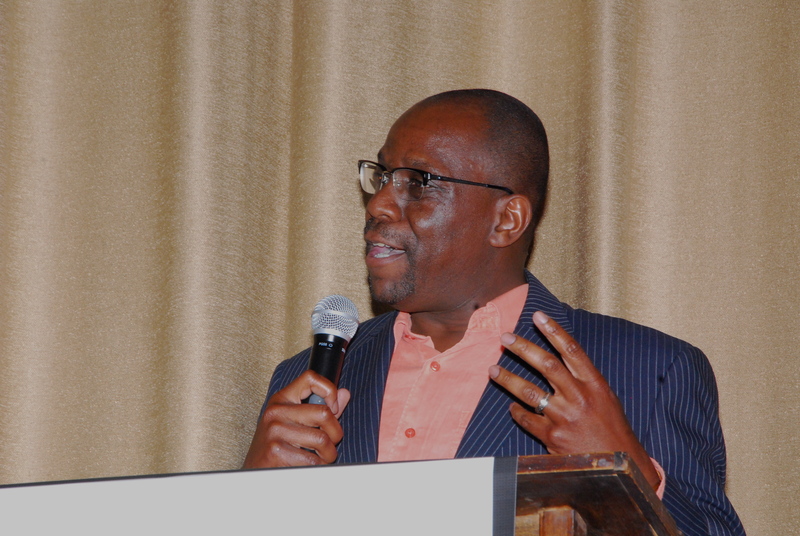 He is today a successful executive with PSE&G as one of its senior counsels. Previously he was an Assistant United States Attorney for the District of New Jersey. When Mr. McKoy opted to write this book, he wanted the chance to reach youngsters who grew up with the same challenges he faced a generation earlier. There were plenty of smiles for Vaughn McKoy and his family following his first book signing on June 8 at Eastside High School. McKoy’s book is not only entertaining, but down right direct. He speaks of the relationship with his mother, Nettie, the special bond he shares with his eldest daughter, Sabrina, as well as daughters Jordan and Aubri, and his wonderful wife and soul mate, Marnie. 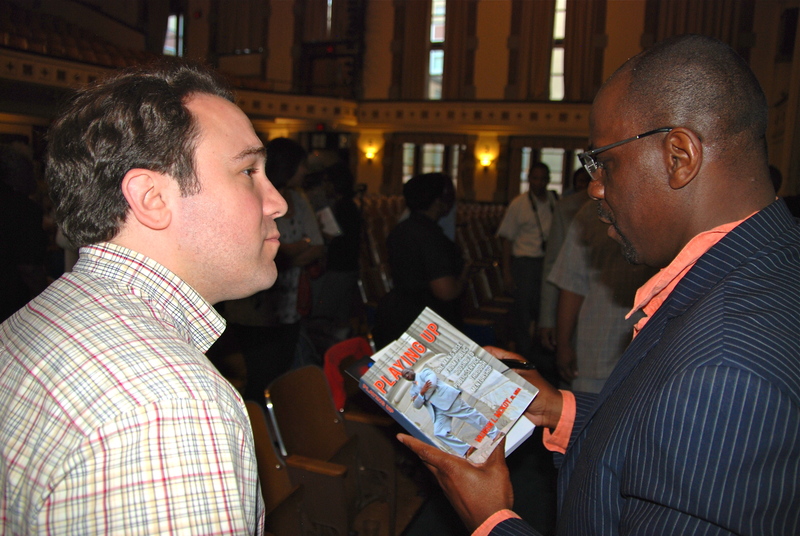 In ‘Playing Up”, you will learn about growing up in ‘P-Town’ and the rigors of inner city life, the influence provided by former Eastside principal Joseph Clark, at a time when McKoy needed that guidance, as well as Olsen’s tutelage and Goldberg’s eventual direction to McKoy’s success today. It is a book which will keep you riveted and wanting to learn more. And if McKoy’s vision of the book providing a link to mentorship for youngsters is as clear as the message, there’s no doubt ‘Playing Up’ will be a huge success. 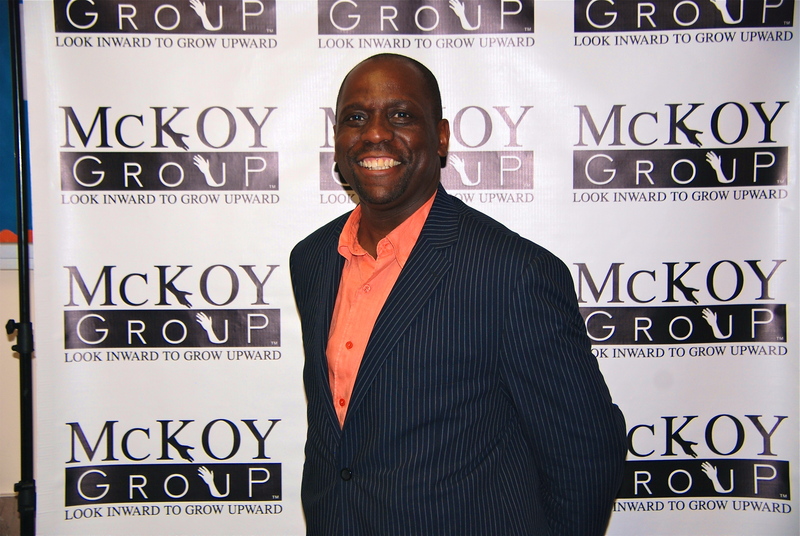 (Check out Mr. McKoy’s website, http://www.vaughnmckoy.com for more information on this man’s accomplishments and hope for the future). Yeah, that’s it. The last three teams still alive from Essex County in the NJSIAA tournament all lost on June 4. Since then, there were the state finals on June 9, followed by the various year-in-review stories from different publications, which, of course, elicited debate among the adults while the kids have already moved on. Graduation week is upon us, with the seniors getting ready to move on to the next phase of their lives. But for the returning players in 2014 and beyond, the high school season may be complete, but the next campaign is already well underway. In Essex County, a bunch of schools are back in a league that will play into late July. 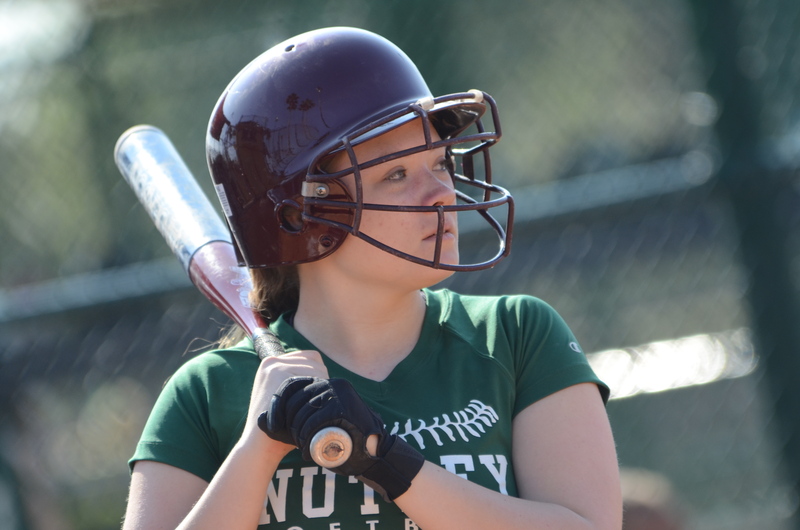 This season, a majority of the games will be contested on Nutley’s two softball fields, which are adjacent to each other. (Last summer, Mount St. Dominic was the host school for the league). The 2013 summer league began tonight, with Mount St. Dominic, Nutley, Verona and Bloomfield all playing five inning, timed, round robin games. Nutley faced Mount St. Dominic and Verona while Bloomfield took on Verona and the Mount. Newark Academy, Montclair and West Orange will also field teams and the league will play twice a week for the next five weeks, or so. The varsity coaches were all there tonight, with the Mount’s Lorenzo Sozio, Nutley’s Luann Zullo, Bob Mayer of Bloomfield and Pete Foster from Verona making sure to get all their players some valuable time, including some incoming freshmen, as well as players who hope to make their mark on the varsity next spring. There were also the famliar faces, such as Mount St. Dominic’s Sam Platt and Olivia Gemma, Bloomfield’s Victoria Ross and Nutley’s Carly Anderson and Stephanie Ziemer. Bloomfield standout Victoria Ross, a first team, All-Essex FMTC player. 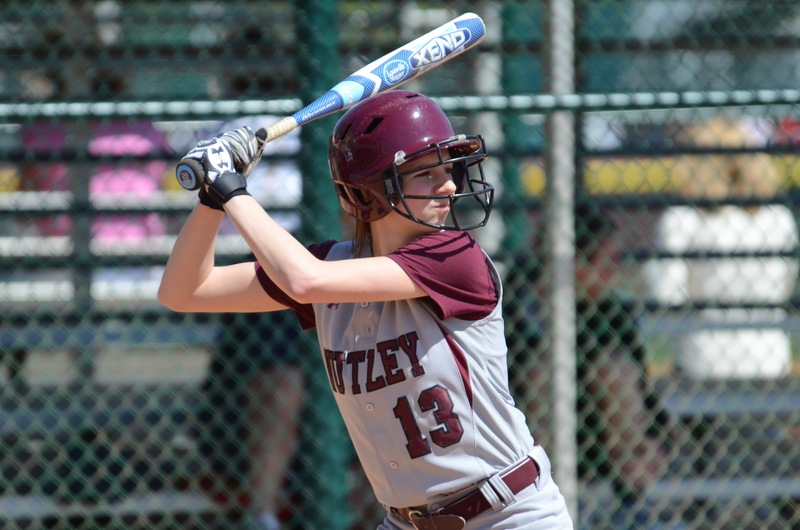 Nutley’s Stefanie Ziemer, a third team, All-Essex, FMTC player in 2013. And while the play will be intense from time to time, it is summer, so the wins and losses may not be as important as the players getting key time on the diamond. And some of the kids will go on vacation, and that’s a good thing, too, because many have been playing pretty steadily for the last four months. Some of the them also play on club teams, too, so there could be scheduling conflicts. But it is softball, and it’s in Essex County, so why not write about it? And I’m not even going to say get your popcorn ready! Wayne Hills head football coach Wayne Demikoff handed out the annual Iron Patriot Awards on June 18, symbolic of those players who put in an effort above and beyond what was expected since the end of the 2012 regular season last Nov. 30. 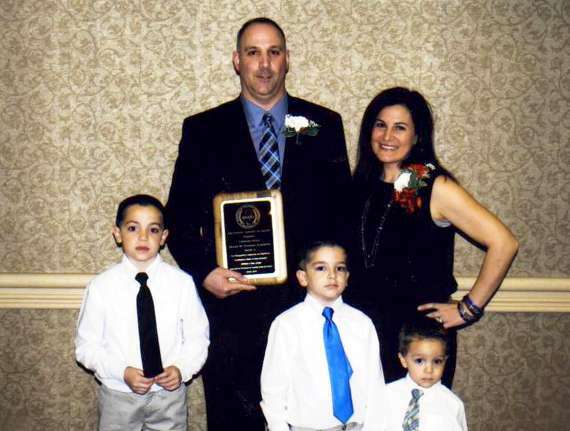 Those chosen for the award are named for their work in the weight room, as well as overall leadership qualities which exemplify the tradition of winning that has become Wayne Hills football for over a quarter century. Demikoff may be new as the program’s head coach, but he’s more than familiar with the Patriots tradition, having served as an assistant coach for the past 14 seasons under Chris Olsen. The Iron Patriot winners for 2013 included (incoming) sophomore Vincent Loverde, juniors Frankie Falzarano and Dylan Doecks and senior Mike Scheiner. The overall Iron Patriot for the 2013 season is Martin Kilroy, who will be a senior this fall. Demikoff and his coaching staff seem to have gotten off to a good start with a large core of players. Non-contact practices began on June 11 and the players have been putting in a lot of time learning some new schemes and getting used to their new coordinators. The rest of this week will be dedicated to the players preparing for their final exams, thus no practice until June 24. The Patriots have some busy times ahead. There’s pretty much a full week of practice on the week of June 24, wrapped around an off day for graduation. The team then heads to East Stroudsburg University on June 30 for four days of football camp. 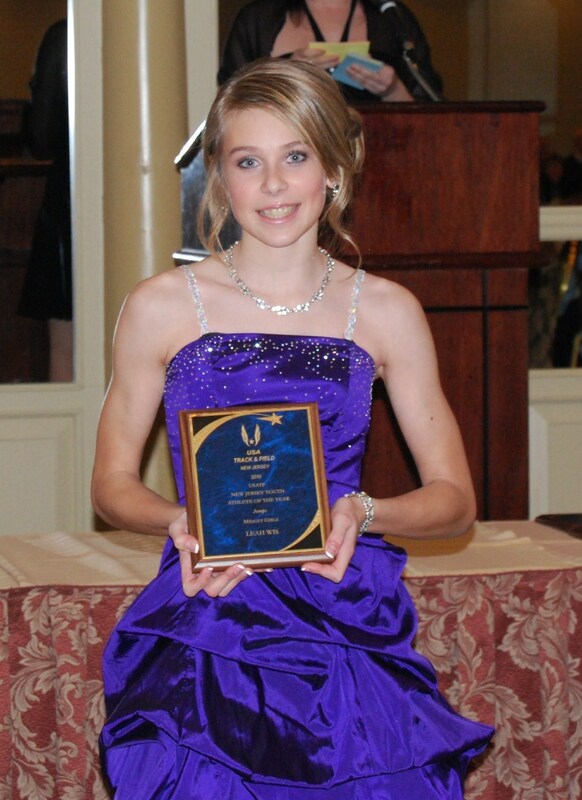 PLAYER OF THE YEAR: Rachel Wasilak of Livingston was her usual understated self in 2013. 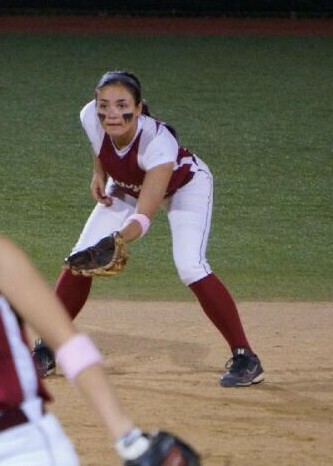 She makes the difficult plays at second base appear routine. She’s as disciplined as they come at the plate, hitting with pop, but most importantly, in the clutch. Most of all, Wasilak is a winner, and her game was a prime reason why Livingston captured its second straight Super Essex Conference, Essex County Tournament and state sectional championships this spring. Headed for William Paterson University, where she’ll continue playing softball this fall, Wasilak’s relative silence when it comes to discussing her softball prowess should never be confused with indifference. Wasilak hit .344 with seven doubles, seven triples and 14 RBI. 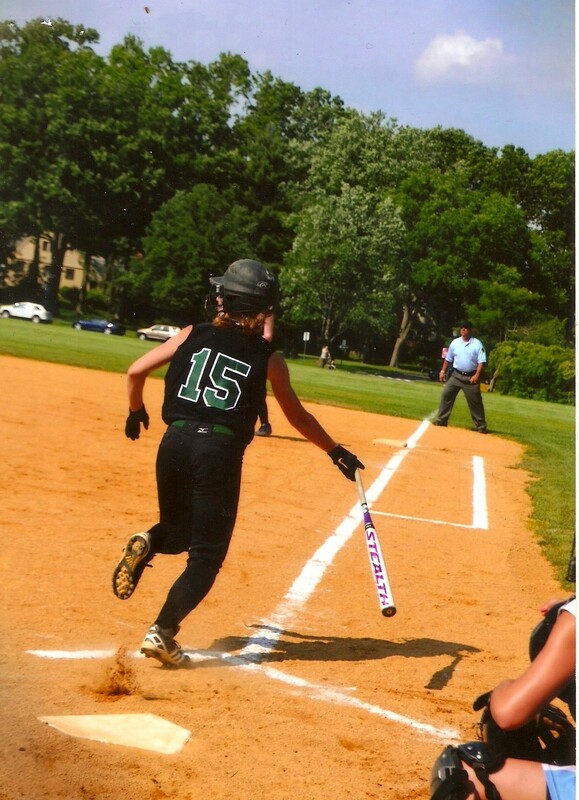 Batting mostly second in the lineup, she was sometimes under the radar, but her performance in the sectional championship game against Morris Knolls, when she collected three hits. Her defensive game is off the charts. Just ask opposing coaches. Caldwell College coach Dean Johnson agrees. Wasilak’s love for the game should continue in earnest at William Paterson, where she’ll play in the very competitive NJAC. PITCHER OF THE YEAR: Jess Peslak. 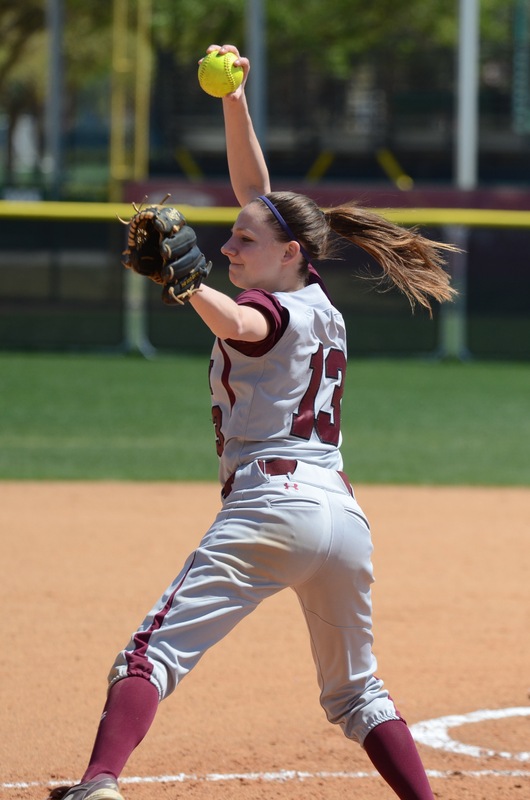 What can you say about one of the most dominant pitchers in Essex County softball history? The strikeouts? Sure. The grittiness? Of course. The toughness? Not even a question. 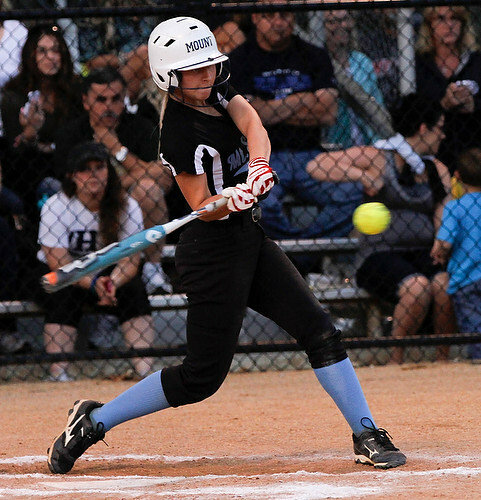 In her junior year, Peslak was a strikeout machine, leading Livingston to a 29-1 record. This season, despite numerous physical ailments, she was up to the challenge once more, guiding the Lancers to a second consecutive conference, county and sectional championship. 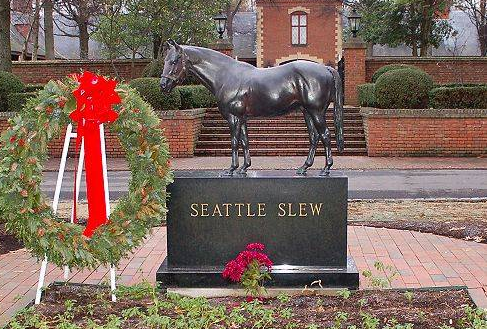 She’s not called Secretariat for nothing. Sure, there were the strikeouts, including 15 Ks against Cedar Grove and 17 versus Belleville. She averaged well over a strikeout per inning and nearly 10 a game while pitching to a 23-4 record and 1.13 ERA. But there was much more to her game in 2013 than meets the eye. 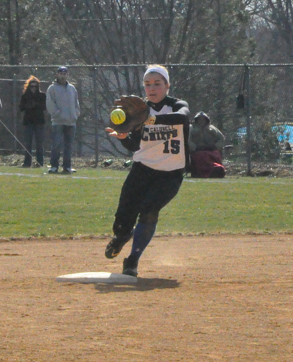 There was her effort in the Essex County Tournament championship game, when she gave up three runs in the top of the first inning, then held Mount St. Dominic to a run for the rest of the game as the Lancers rallied to win, 5-4, in what was clearly the county’s game of the year. Her bat was also key, as she drove in the game-winning run in the bottom of the fifth in the county final. And when teams seemed to think they had a chance for a big inning against her, Peslak shut the door, either with a big strikeout (including the last out of the county final) or relying on her defense to make plays. There was never a complaint about a hip flexor, back spasms and hamstring ailments all season. An outstanding student and 2013 recepient of the Men of Essex’s highest honor, the aspiring lawyer will attend Hofstra University this fall, where she’ll also continue playing softball. Jess Peslak with her parents, Jean and Ed, at the Men of Essex dinner, held on May 15, 2013. 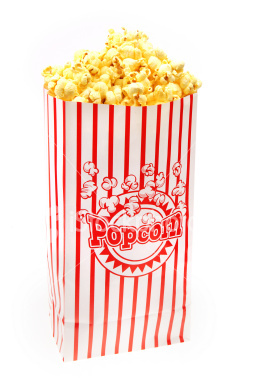 Get your popcorn ready, Hofstra fans. And thanks for the memories, Jess. TEAM OF THE YEAR: Livingston’s 25-4 campaign featured a second straight SEC, Essex County Tournament and state sectional championship. The county title was Livingston’s fifth overall and second straight. COACH OF THE YEAR: The general consensus is a private school can just go out and get whatever player it wants, which is not true. And with that said, a coach of a private school can somewhat be overlooked, but in this case, the job turned in by Mount St. Dominic’s Lorenzo Sozio more than makes him worthy of this accolade. Sozio guided MSDA to a 25-7 record. It lost in the county final and Non-Public North A final to two of the state’s best teams in Livingston and Immaculate Heart Academy, both by one run. No program in Essex played as tough an overall schedule as the Mount. Mount St. Dominic coach Lorenzo Sozio and his family. The Lions were outstanding in the SEC, losing just two games, both against Livingston. And most of the team will be back in 2014, giving hope that MSDA will be a serious contender for a fourth straight ECT finals appearance and perhaps its first championship since 2009. The hard-working Sozio, who has 426 wins at the Mount and four county titles in 18 seasons, also serves as MSDA’s athletic director and discipline coordinator. He’s held that job for nearly 14 years. And getting outstanding players to attend a private school isn’t easy. Like anything worthwhile, it takes work and diligence. And the rigors of a private school, with the academic workload, is well documented. 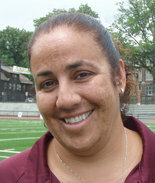 The jobs turned in by Nutley coach Luann Zullo, Sergio Rodriguez of Newark Academy and Livingston’s Jason Daily should also be noted. Zullo took a team with four freshmen in the starting lineup and guided the Raiders to a 22- win season. Rodriguez led Newark Academy to its best season in school history as the Minutemen finished 22-8. And while expected to win, it’s never easy when the opposition circles your team as its biggest game. With that said, Daily led Livingston to 25 wins this spring. Over the past two seasons, the Lancers were 27-1 in league play and 54-5 overall, with only one loss coming to an Essex County opponent during that run. Livingston’s Jason Daily (right) celebrating a sectional championship in 2013. 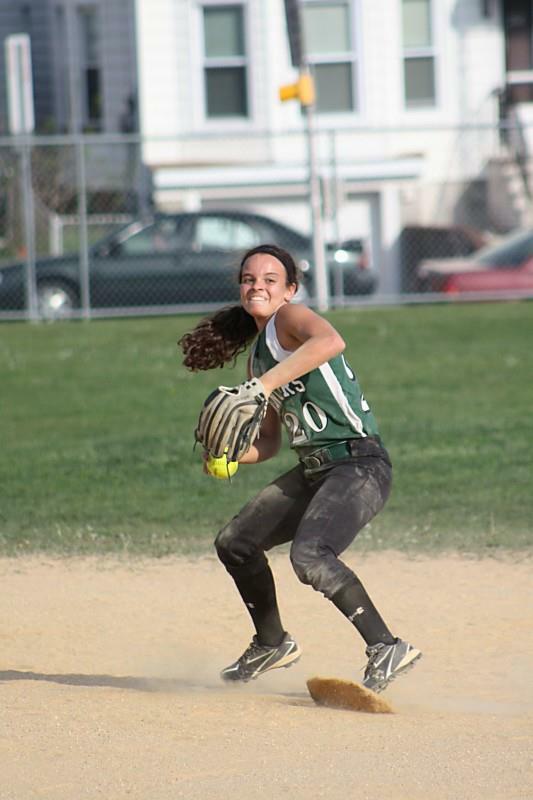 STUD OF THE YEAR: Kylie McLaughlin of Livingston was the most dynamic player in Essex County, both at the plate, on the basepaths and in the field, in 2013. The ultimate compliment by an opposing coach is when that player is dubbed ‘A Stud’ and McLaughlin gets that accolade this year. She hit .468 with 44 hits, 27 stolen bases, six homers and 24 RBI. And bear in mind, those numbers were by a natural right-handed hitter who ‘slapped’ from the left side. Kylie McLaughlin was outstanding once again in 2013. McLaughlin’s speed on the basepaths was incredible, so much so that parents from opposing teams couldn’t believe how fast she was. One joked, in a game against Bloomfield, that McLaughlin was already at second base when the ball she hit smacked against the wall. By the time the ball was fielded, she was rounding third for a rare inside-the-park homer at Ivy Hill Park. She hit two laser shots for homers at Livingston’s fence-less field in a game against Mount St. Dominic and also put one over the fence in the Lancers’ Group 4 semifinal versus Watchung Hills at Nutley. And, guess what? She’s back next season for her senior campaign. AT-BAT OF THE YEAR: Kim Shaw vs. Jess Peslak. 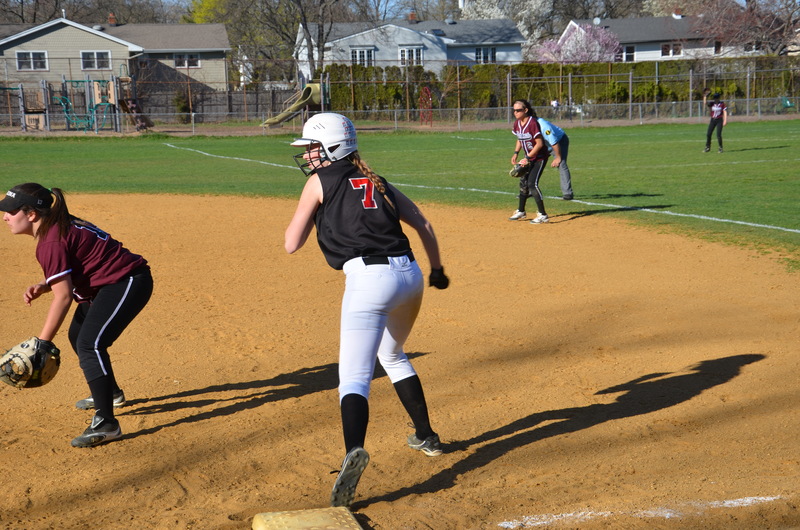 In a game at Livingston in late April, West Essex sophomore catcher Kim Shaw fouled off nine pitches on a 3-2 count against Livingston’s hard-throwing Jess Peslak before the 10th pitch was called a strike. The call may have been a little questionable (the pitch appeared high), but it shouldn’t take away from a classic competition. GAME OF THE YEAR: MSDA vs. Livingston, Essex County final: Mount St. Dominic had taken its first lead in six games (spanning two seasons) against Livingston pitcher Jess Peslak when the Lions gained a 3-0 advantage in the top of the first at Ivy Hill Park. But Livingston would rally back with a pair of runs in the bottom of the first and Peslak would settle down, allowing just one run for the remainder of the game. Mount St. Dominic pitchers Sam Platt and Olivia Gemma both pitched well for the Lions, which held a 4-2 lead heading into the bottom of the fifth. There, Livingston scored three times, capped off by a run-scoring hit by Peslak. Livingston would hold off Mount threats in the sixth and seventh innings to win a classic, 5-4. Gemma was marvelous in this game, especially at the plate, where she had two hits. Livingston became the first team to repeat as county champions since the Mount did it back in ’08 and ’09. EPIC HOMERS: Mount St. Dominic’s Olivia Gemma blasted a three-run homer over the right centerfield fence against Cedar Grove in the bottom of the sixth and the Lions held on to win in an ECT semifinal, 4-3. That same night, Sammi Rothenberger drilled a homer that went through the trees in left field for Livingston as the Lancers defeated Bloomfield in the other semifinal. 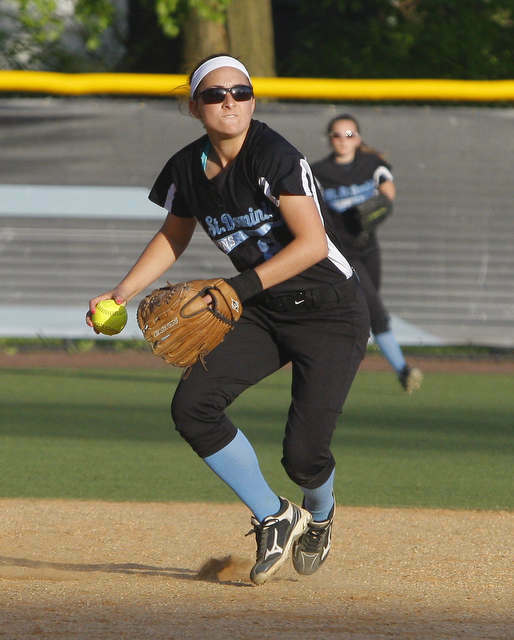 CEDAR GROVE’S CASTELLI WAS A GAMER: Gabrielle Castelli of Cedar Grove closed out her high school career by leading the Panthers to the Essex County semifinals, as well as the sectional semis. Castelli won over 70 games in a four-year career and guided Cedar Grove to the 2010 county championship, as well as the 2011 and ’12 sectional crowns. She probably deserved a better fate in the county tournament this year as she pitched tremendously against the Mount, but lost a close game, in part, because of errors in the field. Good luck to Gabrielle Castelli as she begins her college career. 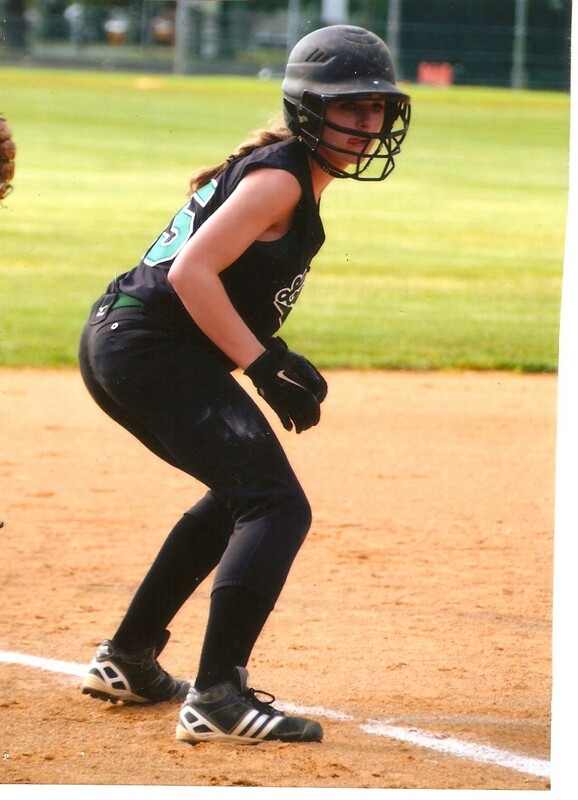 Castelli will attend William Paterson University in the fall, where she’ll continue playing softball. 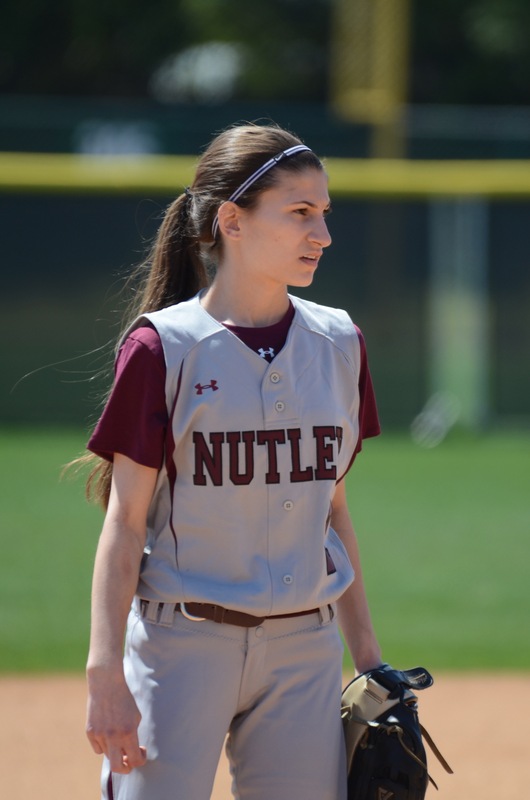 NUTLEY’S OUTSTANDING BATTERY: Victoria Malanga of Nutley put together a fabulous high school career. 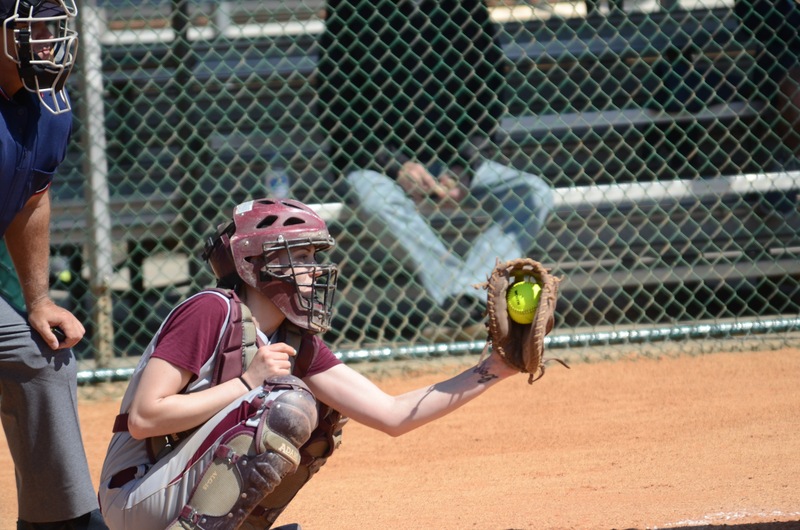 In 2013, the senior catcher hit .303 and was outstanding behind the plate. 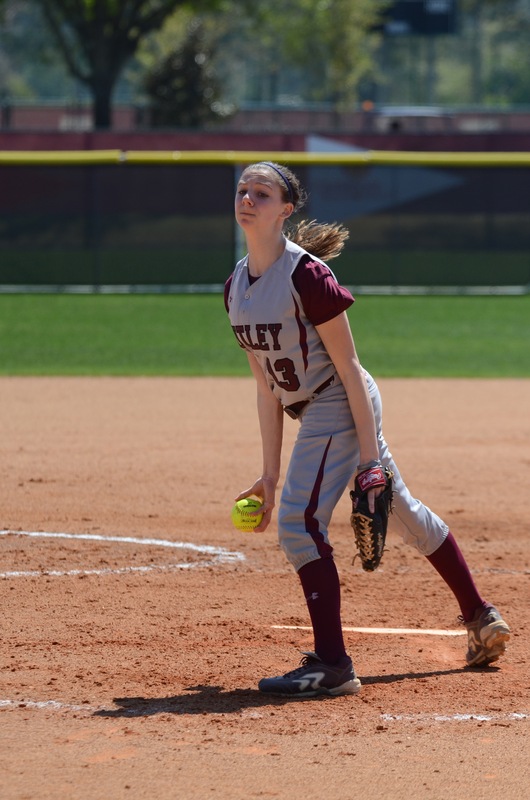 Her batterymate, sophomore pitcher Carly Anderson, had a tremendous season. She was 21-7 with a 1.06 ERA while recording 222 strikeouts. As a leadoff hitter, she hit .326 with 29 runs scored and 21 walks. 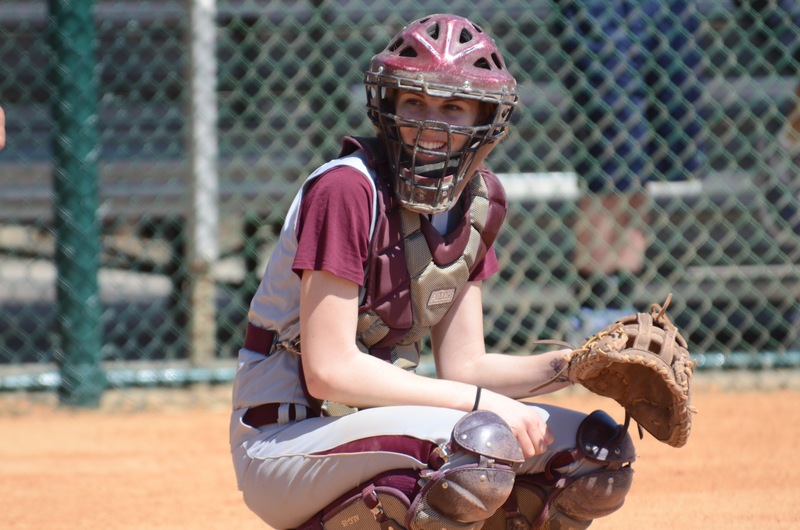 Carly Anderson of Nutley (top) had a tremendous sophomore season while senior catcher Victoria Malanga was one of the best to ever wear the gear at Nutley. ENSIGN ROSELLE? : Caldwell second baseman Gabby Roselle will attend Old Dominion University this fall where she will be a part of that school’s Naval ROTC program. 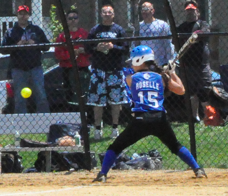 Gabby Roselle was an excellent second baseman for Caldwell. Roselle has a long affinity toward the United States Navy and admits her love for the Military came in part to a sad Tuesday in Sept. 2001, when as a first grader, she recalled the day we now know as 9-11. 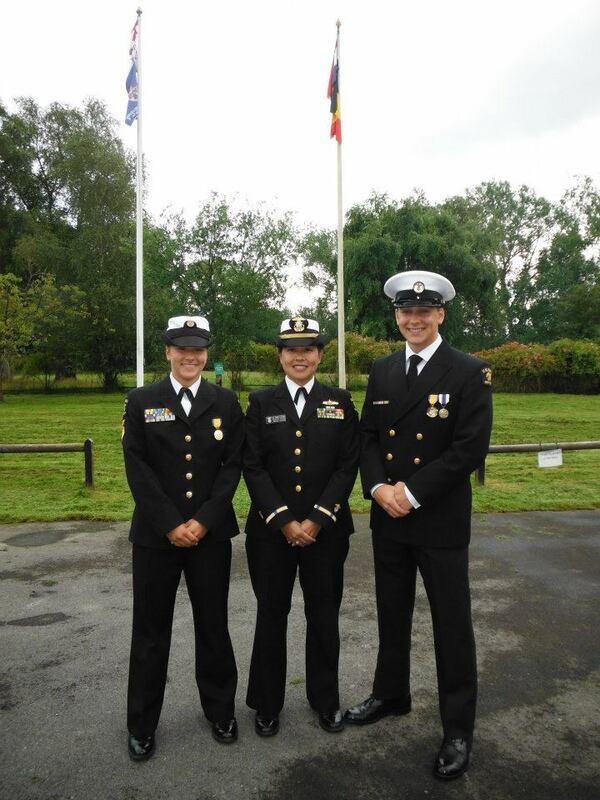 She has excelled with the Sea Cadets, rising to the rank of Chief Petty Officer, the highest level a cadet can attain. Roselle hopes to major in Engineering and would like to focus her Naval career in Surface Warfare. She’s also considering a career as a Naval pilot after graduating from Old Dominion as a commissioned officer four years from now. COUGAR UPRISING? Montclair Kimberley showed a good deal of improvement in 2013. The young team, coached by Jess Sarfati, finished at .500 and were a factor in the SEC, Liberty Division. The Cougars last won a Non-Public B championship in 2009 and heading into 2014, there’s no reason why they can’t be a factor once again. Sarfati just completed her third full season as the team’s head coach, which at MKA is saying something. With some much needed coaching stability and a core of young players, MKA could be a team to watch next spring. The MKA Cougars hope to be a factor in the conference, county and state section in 2014. So, the summer is nearing. The 2012-2013 school year, for all intents and purposes, has concluded. The scholastic sports year is complete. Literally 12 hours after the end of the spring sports season, the high school season began for the 2013-2014 school year. And it’s begun, in earnest, all over the state, as coaches are allowed to work with their respective teams as soon as the athletic calendar was finalized for 2012-2013. Two of my favorite programs, Wayne Hills football and Passaic Valley boys basketball, are already hard at work. At Wayne Hills, there’s a new era underway as Wayne Demikoff is the new head coach, taking over for the legendary Chris Olsen. Demikoff served 14 seasons as an assistant to Olsen at Hills, so the landscape is somewhat familiar for him, even though the job has certainly changed. Demikoff made some changes on the coaching staff, adding new faces, including former head coaches in John Jacobs, formerly of West Orange and Jermain Johnson, who was the head man at Paterson Eastside, to be the offensive and defensive coordinators, respectively. There are also a number of returning assistant coaches to the Patriots’ staff for 2013. Practice began on June 11 with a large turnout of players. The pads won’t be issued until mid August, but there’s plenty of work to do in the meantime, and by the overall tone of the players, they’re thrilled with the coaching staff. 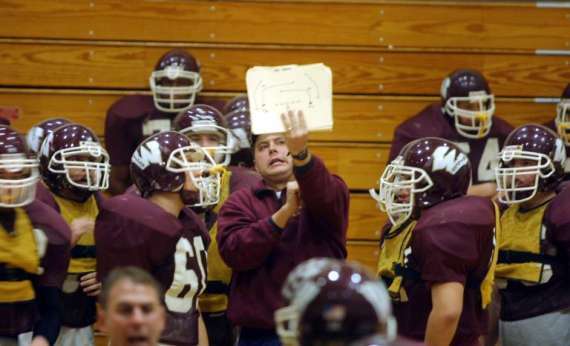 Wayne Hills football coach Wayne Demikoff is in mid-season form already in his new job. The Patriots were scheduled to take part in a 7-on-7 competition on June 15. There will be plenty of practices, along with the team camp in late June, into early July, which will have the team busy for most of the summer. The opening game of the 2013 season is less than three months away, so at this point, it’s full steam ahead at Wayne Hills. Meanwhile, at Passaic Valley, the boys basketball team may not ‘officially’ begin practice for another five months, but there’s plenty of kids wearing green and white playing hoops this summer. The Hornets have been playing in a league at Teaneck twice a week. They will also be hosting a series of games, beginning on June 15 at the varsity gymnasium and extending to two other weekends later this summer. There’s also a few summer leagues, as well as a summer camp. In addition, some of the players will be competing for various AAU teams. In other words, don’t tell head coach Rob Carcich that these are the lazy, hazy, crazy days of summer. 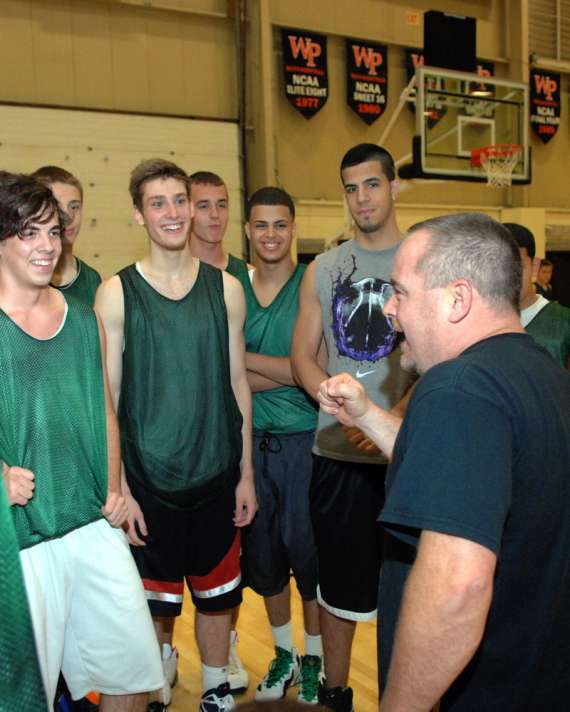 Feisty as always, Passaic Valley’s Rob Carcich always has basketball on his mind. Carcich will be coaching the team, along with his assistants, Jim Holsworth and Dan Ring, in the various leagues and camps. Passaic Valley won the Big North championship last season, en route to a 16-10 campaign. It lost in the second round of the state sectional tournament to Sparta after reaching the sectional final in 2011 and 2012. So, with that said, there will be plenty to write about over the next few months. Summer may be here, but it’s business as usual when it comes to athletics. 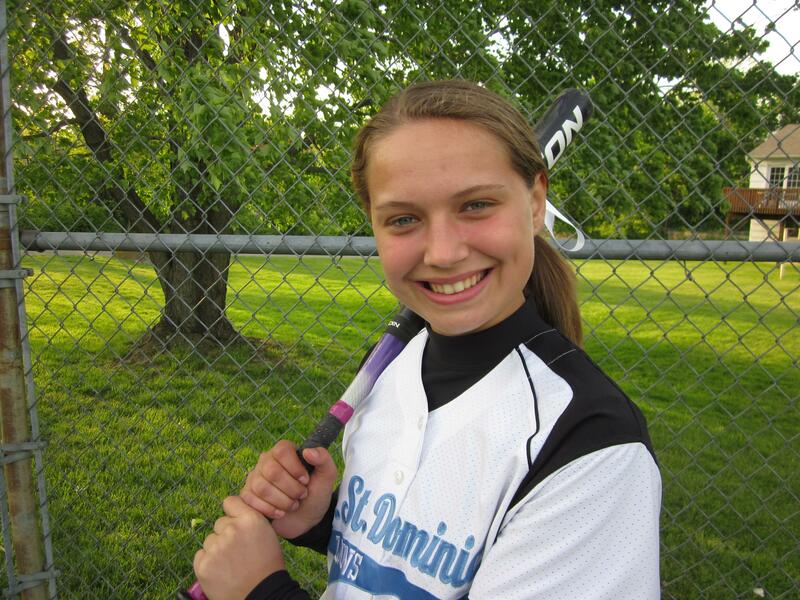 On April 1, 2010, Mount St. Dominic Academy freshman Katie Johnson lined a single in the bottom of the sixth inning to defeat Cedar Grove, 6-4 in the first game of the new Super Essex Conference (SEC), at MSDA. 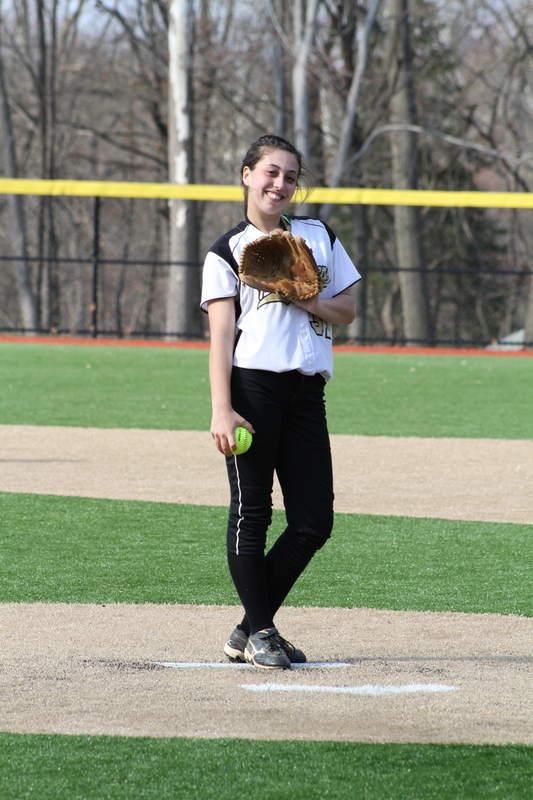 Cedar Grove’s pitcher that day was Gabby Castelli, herself a freshman. Before the end of that season, Castelli would lead the Panthers to its first Essex County Tournament championship in 26 years, pitching a shutout in the ECT final against a very good West Essex team, 2-0. 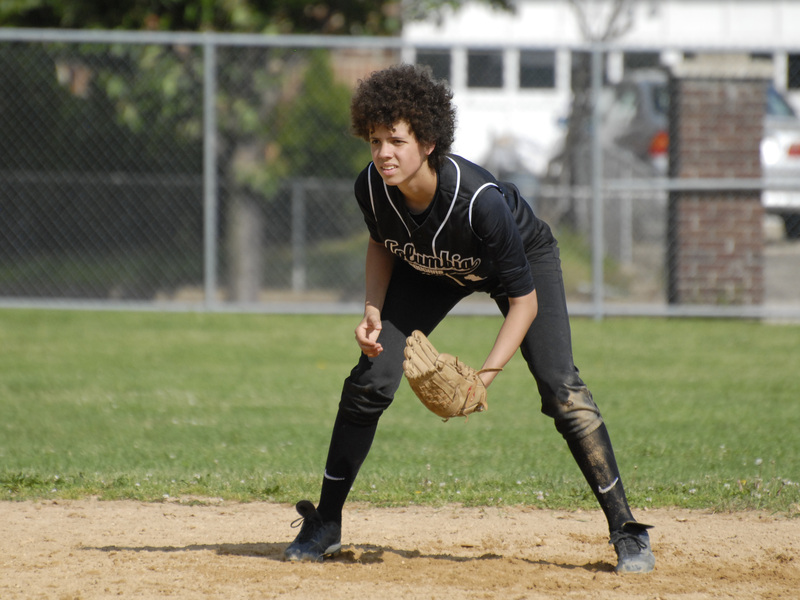 A few weeks later, at Cedar Grove’s Black and Tan Tournament, a Livingston freshman named Jess Peslak would pitch a game against powerful Sparta and made an immediate impact as the Lancers won, 2-0. Livingston coach Jason Daily would keep Peslak somewhat under wraps that season, but as the year progressed, it became evident this kid was a strikeout machine. I remember a game at Livingston, in late April, which felt more like late January,when Castelli and Cedar Grove beat Peslak’s Lancers, 1-0. Both pitchers were outstanding that day. I also remember then-Cedar Grove coach Rob Stern dressed like a polar bear for that game, but that’s another story. (LOL). 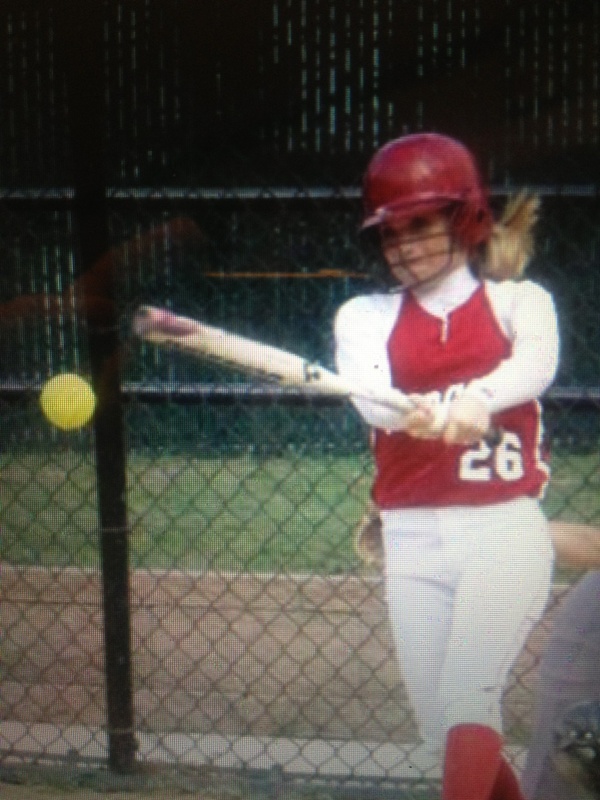 At Bloomfield back in 2010, the fans were psyched about an up-and-coming freshman infielder named Jenna Orlando, who worked long and hard to become a tremendous athlete for the Bengals. Anyway, over the years, Johnson, Castelli, Orlando and Peslak gave Essex County softball fans plenty of excitement with their stellar performances. With Johnson, who I often call Katie J, it was truly the story of watching this kid grow up. Katie’s dad, Dean, is a long-time Assistant A.D. at Caldwell College. I worked at Caldwell from 1998-2004 as the school’s Sports Information Director. When I first started there, Katie was all of 3 years old and would often stop by my office when she came to work with Dean, juice box in hand. Often, she’d discuss politics and the economy (well, not really), but she was pretty informative and usually was a stark critic of the various knickknacks I had in my office. especially the orange mini helmet I kept, being a big Cleveland Browns fan. She’d often high-five me about something and, over the years, I saw her become a really nice young lady. So, it was kind of fun writing about that key hit she had in the ’10 season opener, because having left Caldwell in 2004, I hadn’t seen much of her until she came to high school six years later. Katie became a very good softball player at the Mount. I thought her breakout season came in 2012, especially in her play in the county tournament that year, most notably the semifinals and finals at Ivy Hill Park. She will play softball at Central Connecticut State University this fall. I still can’t believe she’s graduated high school, but yes, time flies by. Good luck, Katie, and thanks for the great memories. Orlando, who will play at Lafayette College, was a tremendous all around athlete at Bloomfield High. An excellent volleyball player, she started her softball career at second base, then moved to shortstop last season and excelled. But when it comes to her, it’s ‘the laugh’ which will always carry great memories for me. Intense on the field, Jenna Orlando’s smile and laugh were a pleasure to witness. It started in the summer of 2010. Jenna had played in a summer game and her dad, Tony, along with the Ross family, headed over to the Town Pub with their kids, wives and families for some traditional pizza. I’m not sure what started it, but something made Jenna laugh and I’ll never forget how infectious it was. We were all cracking up, and really had no idea why. Orlando’s smile and laugh continued throughout high school and that great personality will take her far in life. As for Castelli, watching her play was fun for a myriad of reasons, but mostly because I had covered her father, Jimmy, as a standout football player at Belleville High in another era. So when she got to high school, it was enjoyable watching her play, along with her dad, who remains a good friend. 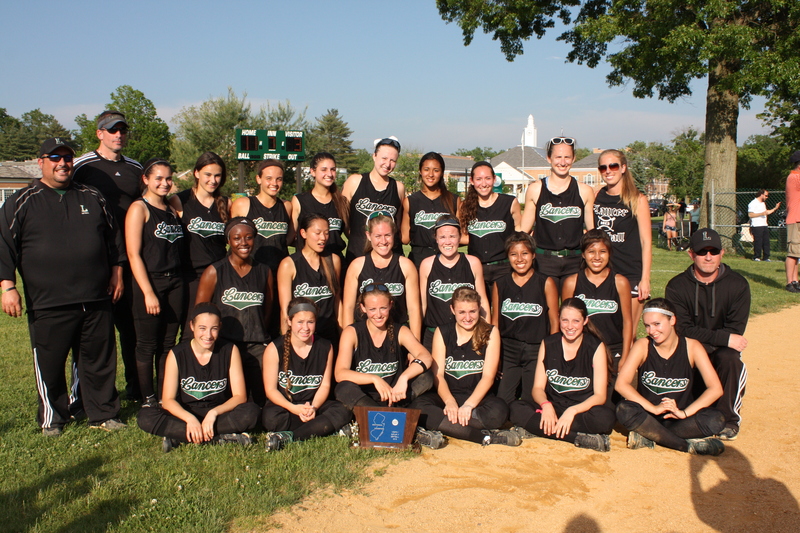 After Cedar Grove had won the county title in 2010, Gabby was walking on the field with her teammates. She had taken her cleats off and was wearing flip flops, which drove Jimmy nuts. It was all in good fun. Over the years, Gabrielle had a very good career at Cedar Grove. In addition to the county title, she led the Panthers to back-to-back state sectional championships in 2011 and 2012. Her performance in the 2013 ECT semifinal should have been good enough to lead her team to the finals, but it didn’t quite work out that way. Castelli also pitched Cedar Grove to the 2011 ECT semifinal. Gabby Castelli won over 70 games for Cedar Grove and led the Panthers to a ECT title and a pair of state sectional crowns during her four-year career. 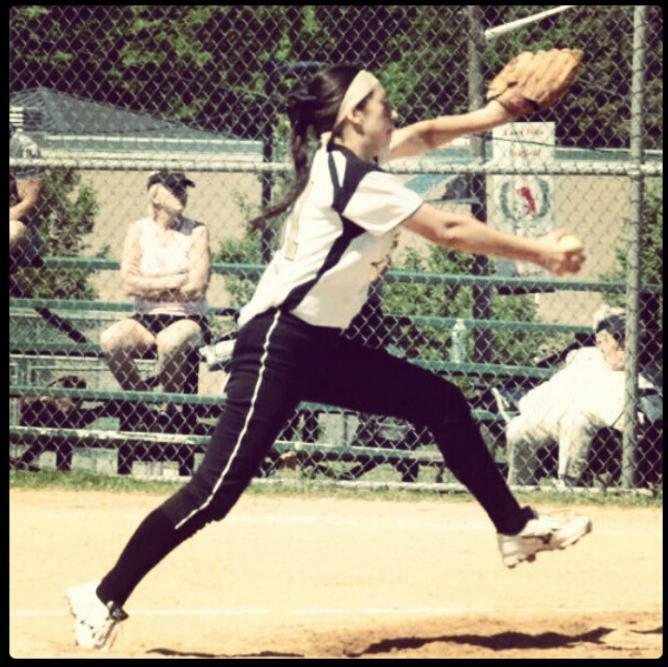 Gabby will attend William Paterson University in the fall, where she’ll continue to pitch. 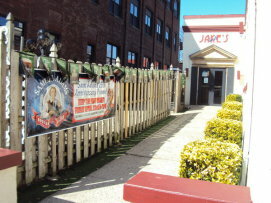 I think she’ll do great there, especially in the NJAC, which is an outstanding softball conference. She’ll also run into a few former teammates and high school foes, who are currently, or will be playing at NJAC schools. 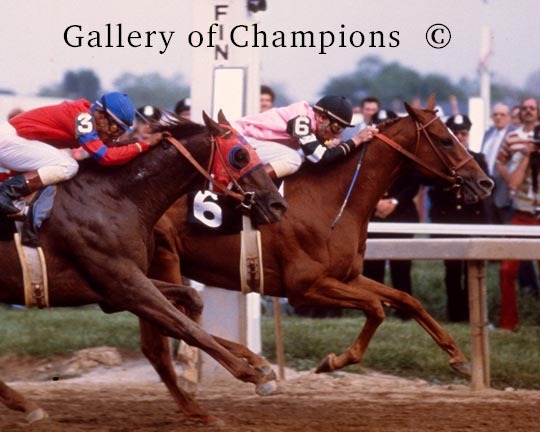 Then, of course, there’s Peslak, or Secretariat as I’ve called her since 2010. The horse moniker is the ‘stud’ theory of an outstanding pitcher, and I could probably write a book about her pitching and countless strikeouts. I remember sitting with IHA coach Anthony Larezza and watching a state game with Montclair in 2010 when Peslak came in as a relief pitcher and was incredible. I remember a game in ’10 when Bloomfield’s Sarah Prezioso congratulated Peslak after the game on her dominant one-hit performance. (Prezioso, now a star at Temple University, bunted for Bloomfield’s only hit in the seventh and dove into first base to make sure she’d get on base). Tbe always-smiling Jess Peslak of Livingston. I remember the epic 2011 game with Nutley, when Peslak struck out 14 in the ECT semifinal, but lost the game. A week earlier, she had struck out 13 in a county win against Caldwell. I remember her breakout season in 2012, when she finished 26-1 with over 300 strikeouts, an ERA of 0.32 and nearly 90 straight innings of pitching shutout ball. 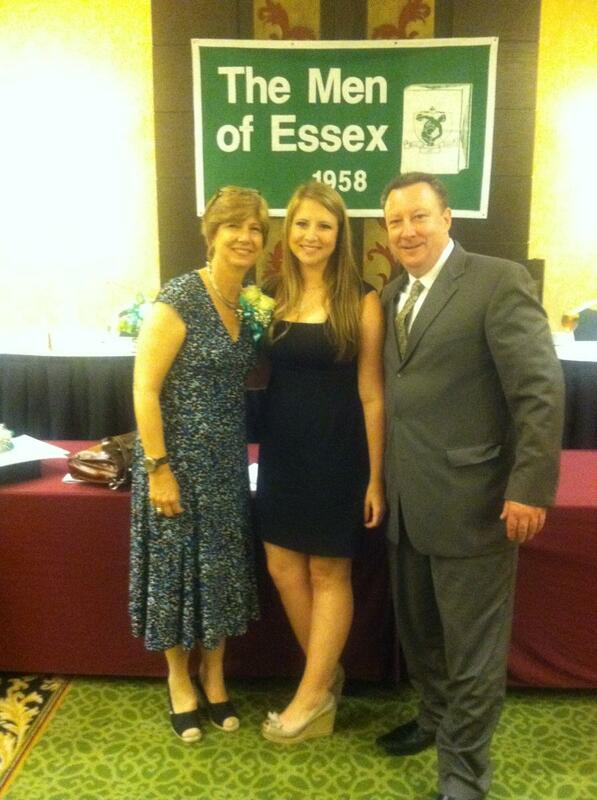 Jess Peslak, with her mom, Jean, and dad, Ed, at the 55th Men of Essex Awards dinner on May, 15, 2013. I will remember the 2013 season where she battled injury after injury and still won over 20 games while pitching to a stellar ERA and still striking out an average of 10 per game. I’ll remember saying ‘get your popcorn ready’ whenever Peslak pitched. I’ll remember the back-to-back ECT championships, SEC titles and state sectional crowns. Most of all, I’ll remember a kid who couldn’t have been nicer, win or lose, a young lady who received the Men of Essex’s most esteemed award and will play at Hofstra this fall, while pursuing a degree in Law. 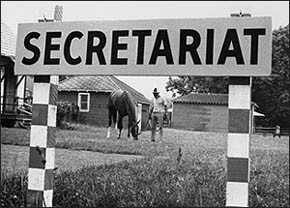 Hard to believe the high school days are about over, Secretariat. Thanks again to KJ, Gabby, Jenna and The Stud for a great four years. 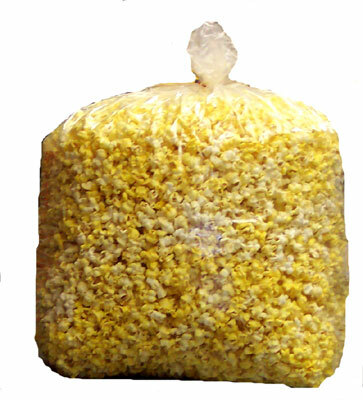 Always good to get your popcorn ready when Peslak pitched. IHA’s run is truly remarkable, and it’s past Memorial Day ! A few weeks back, I had written a column on Immaculate Heart Academy (IHA) softball coach Anthony Larezza. 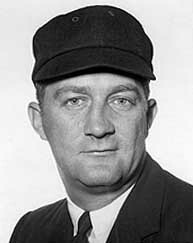 Anyway, behind the fun stuff, including the now famous Memorial Day speech of 2010 and a true respect for legendary MLB umpire Nestor Chylak, is a coach who is very close to a milestone which, especially today, isn’t easy to attain. Former MLB umpire Nestor Chylak will always have a front-row seat for an IHA game. If IHA defeats St. John Vianney for the NJSIAA, Non-Public A championship this weekend in Toms River, it will have won a third state crown in the last four years and, most assuredly, finish as the consensus No. 1 team in New Jersey for the second straight year and third time since 2009. (It has also lost a grand total of one game since the end of the 2011 season, and that was a 1-0 setback this spring). 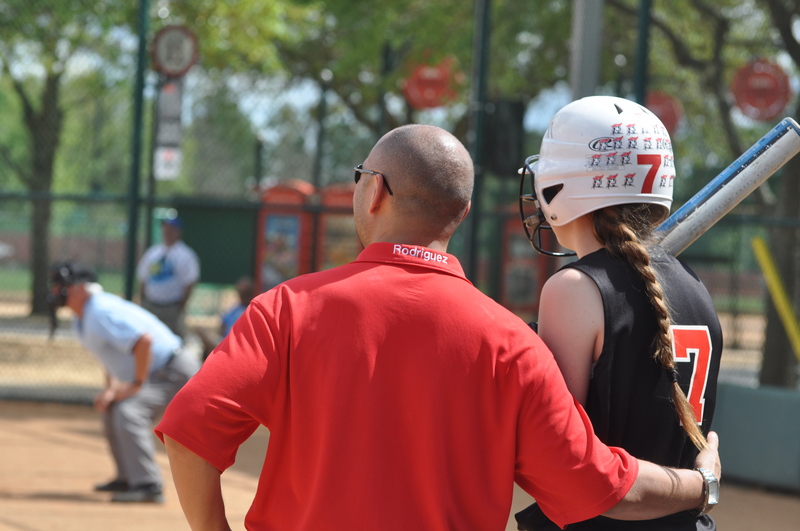 In a time where good softball players are more prominent because of summer ball, showcases and outstanding conditioning regimens, great programs are harder to maintain. And, of course, there’s graduation every year which, even if its minimal, changes the landscape of a program. So, as IHA prepares for a run to history this weekend (depending on the weather, the games could be Saturday, or Sunday), the Blue Eagles, with their marvelous ‘Affirmed’ pitcher, incredible defense and timely hitters, will be a riveting team to watch compete. 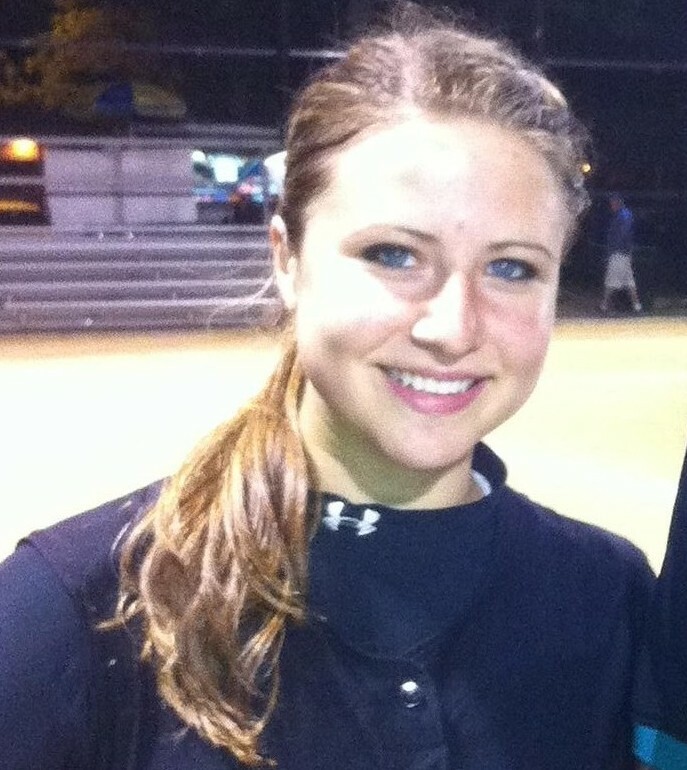 IHA junior pitcher Steph Thomas is ‘Affirmed’ to be one of the best in New Jersey. They are truly a great program, led by a tremendous young coach. 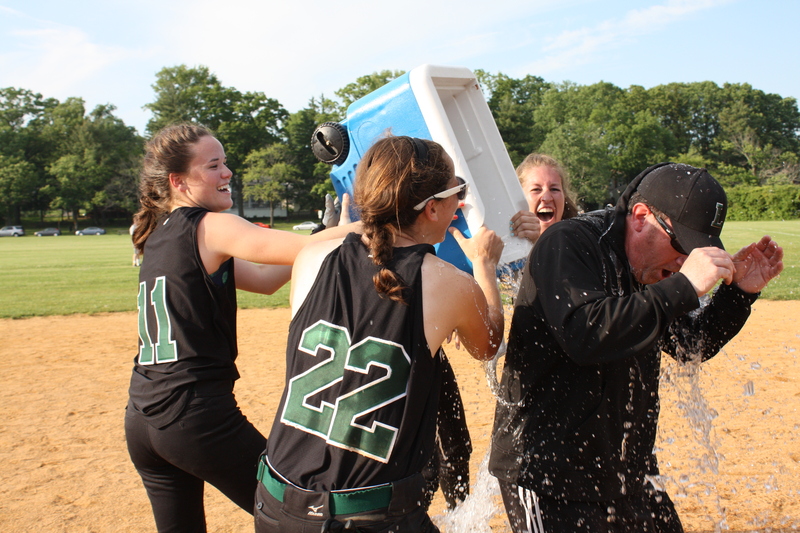 The final three Essex County teams exited the NJSIAA tournament on June 4. And while Livingston, Mount St. Dominic and Newark Academy fell short of their ultimate goal of winning an overall state championship, the performances which led to yesterday’s game spoke volumes of the tenacity and fortitude which made 2013 a very good season. Livingston finished 25-4 and won a second straight Super Essex Conference (SEC), Essex County Tournament (ECT) and NJSIAA, North Jersey, Section 1, Group 4 championship. Its 19-game winning streak ended in a 2-1 setback to Watchung Hills at Livingston’s new mini house of horrors, better known as Nutley’s home field. Mount St. Dominic’s 25-7 campaign concluded with a 1-0 setback to the state’s top-ranked team, Immaculate Heart Academy, at Ivy Hill Park, in the North Non-Public A final. The game was every bit as good as the final score indicated. 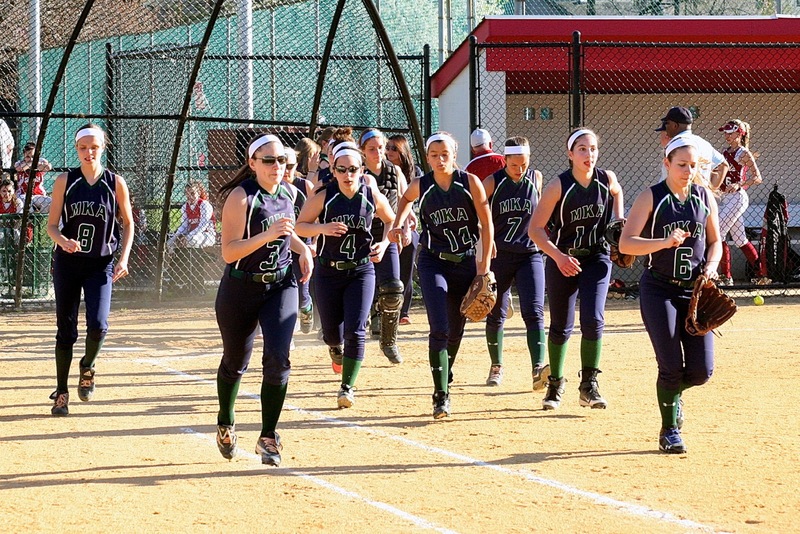 IHA, which just finds ways to win, like a great team does, scored the game’s only run in the bottom of the fifth. Sam Platt pitched a marvelous game for the Lions, but the ‘Affirmed’ Steph Thomas kept the MSDA bats quelled for most of the game to record the shutout. Newark Academy dropped an 8-2 decision to Lodi Immaculate in the North Non-Public B championship game. The Minutemen had a tremendous season, finishing with a school record mark of 22-8. Congrats to coach Sergio Rodriguez and his team on a great season. Over the next two weeks, we’ll have a complete recap of the 2013 season, with three All Essex County teams and photos of all the honorees, an Essex Player of the Year, Pitcher of the Year, Coach of the Year and a number of feature stories on some of the kids. Leah Wis admitted she just needed some quiet time. 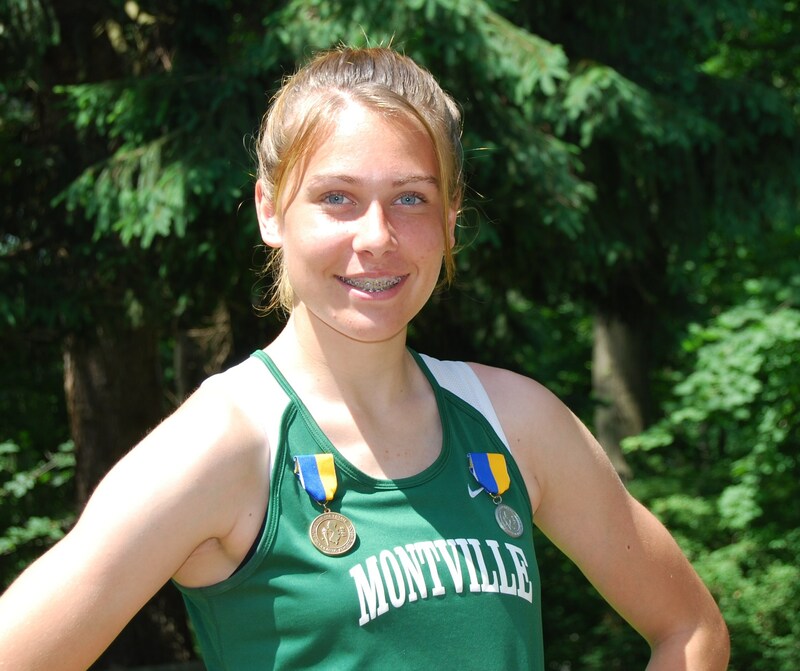 Competing in the NJSIAA, Group 3 championship track meet last weekend in South Plainfield, the 15-year-old freshman from Montville High School had already accomplished what few athletes her age have done. After all, just getting to the group championship meet meant she had to finish in the top six in the state sectionals a week earlier. Wis not only qualified in one event, she made it to the groups in four events, the discus throw, high jump, triple jump and long jump. But there she was, in the discus circle, with one throw left and sitting in sixth place overall. Having already appeared to qualify for the most prestigious meet in New Jersey, the Meet of Champions on June 5 in the discus, Wis was trying to focus on her final throw. Leah’s dad, Robert, could also tell his only daughter was ready. Wis wound up and threw the discus better than she ever had before, hurling the sphere 126’5″, a good foot further than the second place finisher. It’s not often a freshman can win a group championship in track and field, but Wis wasn’t overly surprised. Wis also qualified for the Meet of Champions by tying for first place in the high jump, clearing 5’2″, despite a chronically sore knee. Wis’ athletic abilities have been evident for a while. Six years ago, she was profiled in Sports Illustrated as ‘A Face in the Crowd’ for track and field. 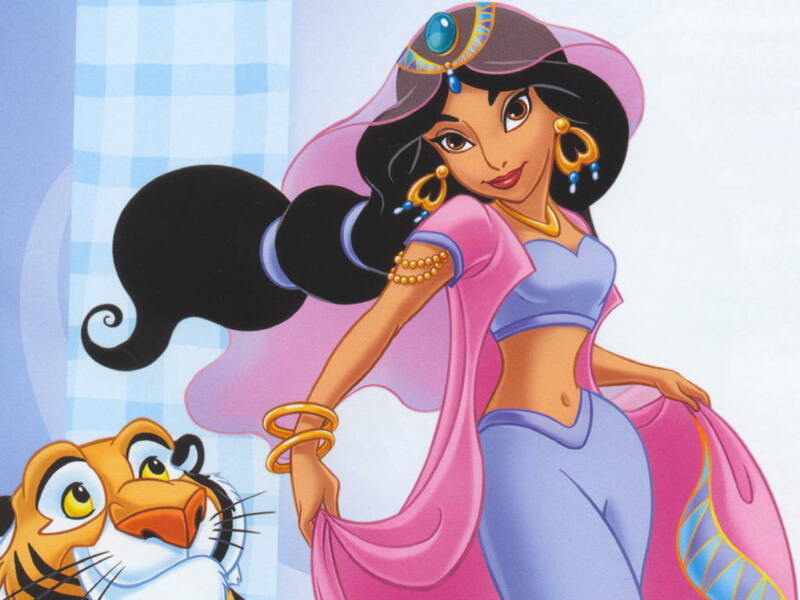 In 2009, she was named athlete of the month by Sports Illustrated for Kids. A younger Leah throwing the discus and later receiving an award for her hard work. 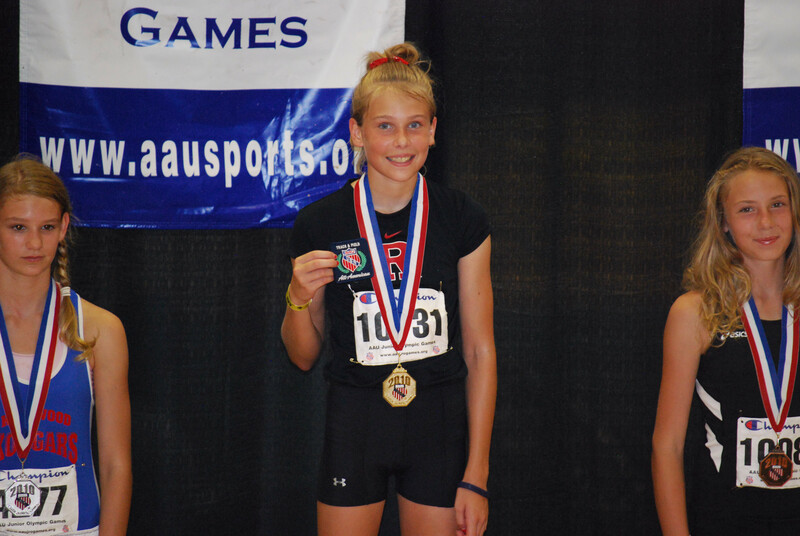 She got involved with track at the age of 5 and competed in Junior Olympics four years later. 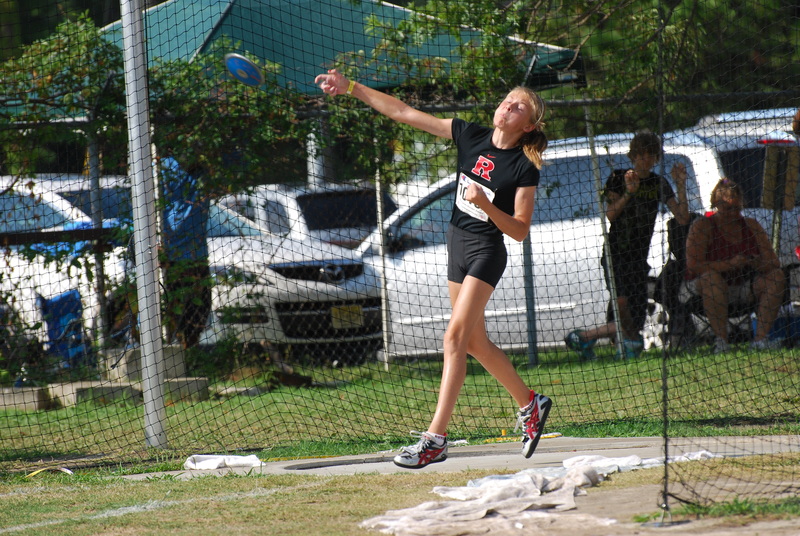 By 2011, as a seventh grader, she had thrown the discus 85’6″ and high jumped 4’10”. Leah Wis has been standing on the top step of the championship podium for a while now. Now, she’s a state champion as a freshman and gearing for an appearance at the Meet of Champions. Wis’ throw in the group championships puts her in good stead with the other group champions. Jess Woodard of Cherokee had an incredible day, throwing 168′, breaking the old mark by nearly seven feet. But other than that, the other champions were somewhat all in the same distance area. Over the past four seasons, Livingston has fared pretty well while playing in Nutley. The Lancers are 4-0 there in regular season play since 2010. 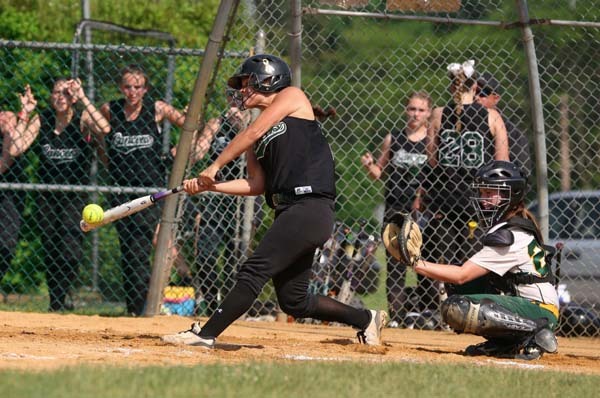 However, there was a fifth game for the Green and Black last June which didn’t turn out as favorably as Livingston’s 28-game winning streak ended in Nutley with a 4-0 setback to Hunterdon Central in the NJSIAA, Group 4 semifinals. Just about a year later, Livingston is back in the Group 4 semi, which once again is being hosted by Nutley. This time, the Lancers’ opponent will be Watchung Hills on June 4. The winner of that game moves on to Toms River four days later to face the Washington-Hillsborough victor for the group championship. Livingston (25-3), which has won 19 straight, put itself in position for another trip to Nutley by defeating Morris Knolls, 11-3, in the North Jersey, Section 1, Group 4 title last Friday. After the game, the comparisons between the ’12 Lancers and this year’s version quickly became conversation pieces among the fans. Many feel this year’s version is clearly more battle tested, having gone through last year’s 29-1 campaign, which produced a Super Essex Conference, Essex County Tournament and state sectional championship. This year’s team has matched those crowns and seem more relaxed than a year ago. This is a faster Livingston team that also has a more potent offensive lineup than in 2012. Defensively, this year’s team is better. In the circle, the Jess Peslak of 2013 might be a more complete thrower, mainly because she hasn’t been as healthy as she was in 2012. But because of that, she might be more tenacious this year, because when opponents think they’ve found a chink in the armor, she’s responded in a big way. Jess Peslak and her Livingston teammates hope to be smiling come June 8. Peslak’s mental toughness has carried over to the team. And players like shortstop Sammi Rothenberger, centerfielder Kylie McLaughlin and first baseman ‘Princess’ Jazzy Pignatello are more vocal leaders. Sammi Rothenberger (22) and her teammates are looking for another cold ice water bucket to be poured on coach Jason Daily on Saturday. 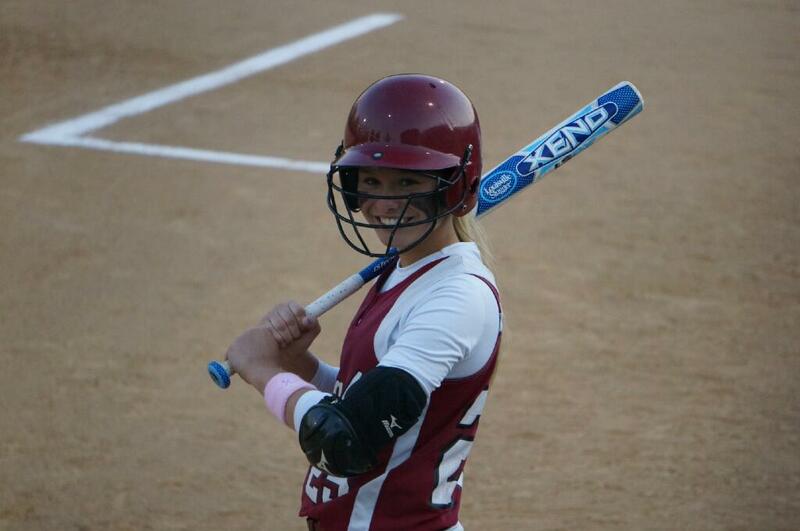 Then, there’s senior second baseman Rachel Wasilak, who may be Livingston’s most complete player in 2013. She’s that good. (And, just as quiet). 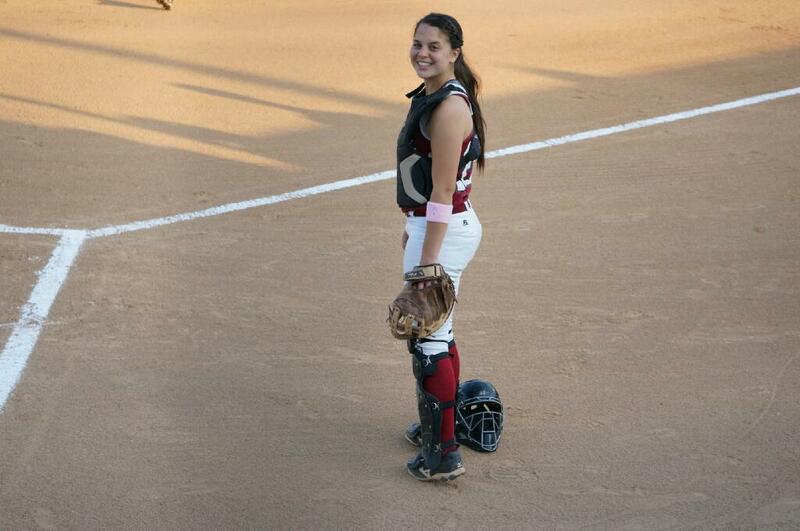 And the second most underrated player on the team is probably sophomore catcher Marina Lombardi. All she does is excel defensively, has a rocket for an arm and is tremendous at the plate. Add in Alexa Altcheck’s speed and the Lancers seem to be pretty complete. So, like I always say, get your popcorn ready. Mount St. Dominic will seek a North, Non-Public A title on Tuesday night when it faces the state’s best team in Immaculate Heart Academy at Ivy Hill Park, beginning at 6 p.m. Honestly, it’s hard to handicap this one. IHA is loaded, plain and simple. It has met every challenge en route to a marvelous season, including a third straight Bergen County Tournament title on June 1, and that’s even more impressive considering it ran through last season undefeated en route to the state’s number 1 ranking. Nothing seems to fluster this team. Its coach, Anthony Larezza, pushes the right buttons. He gets mad when necessary, encourages his players when they need that and is seemingly two steps ahead in his strategic process. So, where does that leave the Lions of MSDA? Well, if you know the Lions and their intense coach, Lorenzo Sozio, anything can happen. Mount St. Dominic (25-6) has one of those teams where any player in the lineup can hurt you. I often kid about teams having ‘studs’. The Mount has a bunch of colts who are real close to being studs, and a few of them have already shown signs of being able to take a game over in pressure situations. And come Tuesday, the pressure will certainly be in the air. Sam Platt bats leadoff and has one of the best hitting eyes on the team. Katie Johnson can hit for power; Gabby Lombardi is a smooth fielding shortstop who has come around offensively, as well; Ashley Kowalski has power from the left handed side and runs like a deer; junior catcher Alexis Havrilla has been very efficient on defense; Olivia Gemma established herself as the real deal in the Essex County Tournament; Bria Bartsch is a very good outfielder and don’t be surprised if Ally Dabroski comes up with a big play to win a crucial game. Sam Platt may look mercurial, but she’s as tough as they come for Mount St. Dominic. Pitching-wise, Platt and Gemma can both throw it with velocity and movement. They seem to compliment each other quite well and Sozio won’t hesitate to use either, and then possibly re-enter one or the other, to finish a game. As for Newark Academy (22-7), the Minutemen have already set a school record for wins in a season. Now, coach Serg Rodriguez is a game away from his first trip to Toms River for the Non-Public B title. Standing in Newark Academy’s way is Lodi Immaculate, a hard-hitting, young team, with good pitching and flashy defense. The teams will meet on June 4 in a 4 p.m. start at Ivy Hill Park. The Minutemen will counter with Laura Catena, Becca Butler, Courtney Luing, Lisa Swenson and Gabby Giachin. Newark Academy coach Sergio Rodriguez, here with Lisa Swenson, hopes to be coaching his Minutemen on Saturday in Toms River. Newark Academy can hit with the best of them and if the pitching stays as consistent as its been for most of the season, Newark Academy has more than a legit shot against a state-ranked team in Lodi Immaculate. Special thanks to Bob Leu, who put together a wonderful party for the Livingston parents to celebrate their daughters’ second straight sectional title. It was an enjoyable evening with parents and friends who are excited for Livingston’s success and, perhaps, a trip to Toms River on Saturday. Livingston parents and friends celebrated a big win for the Lancers at Just Jakes. Here is the updated FMTC Top 10.